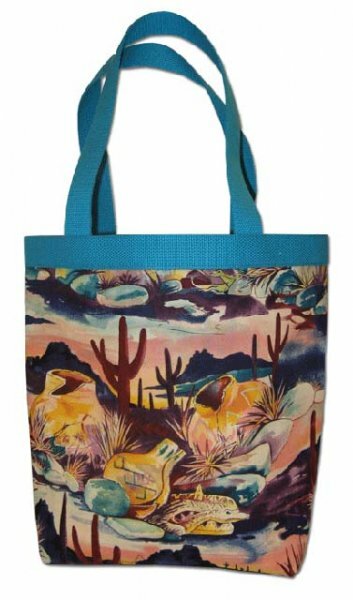 Laura’s Tote is a very quick and easy fully lined Tote bag. 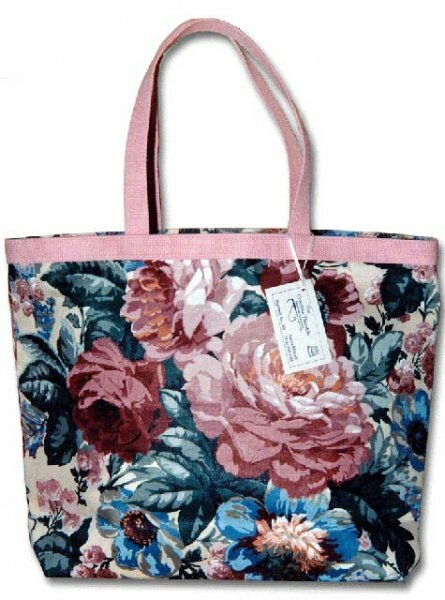 The Tote has only one side seam and a bottom seam and the pattern includes two sizes. 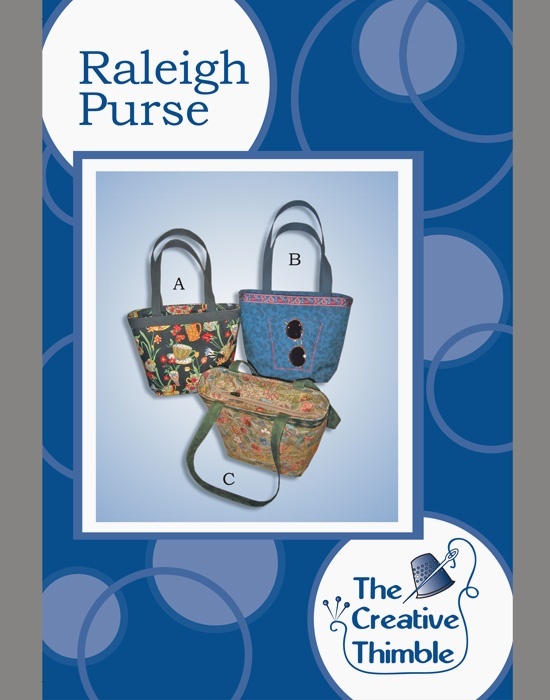 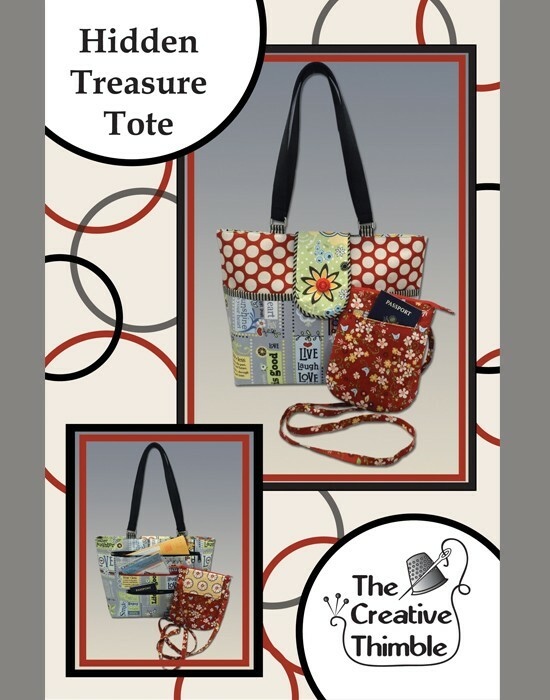 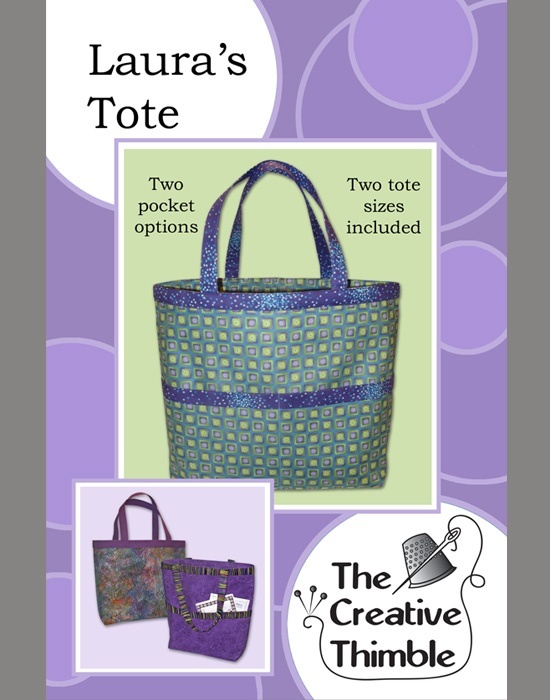 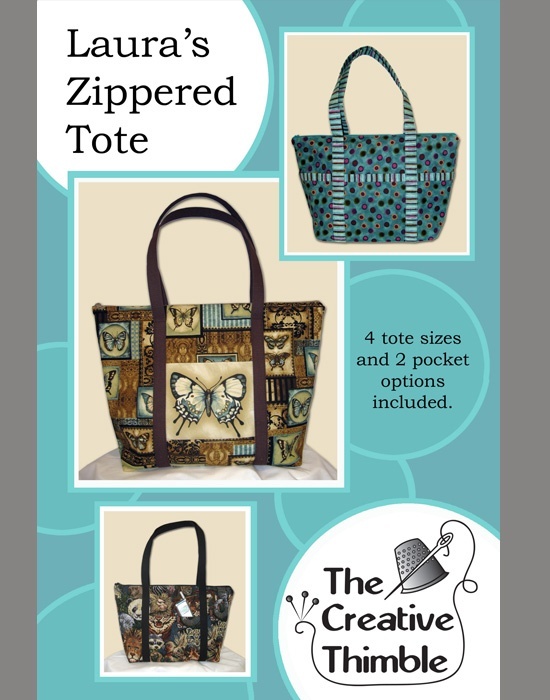 You have the option of choosing multiple pockets that wrap around the inside and or outside of the tote. 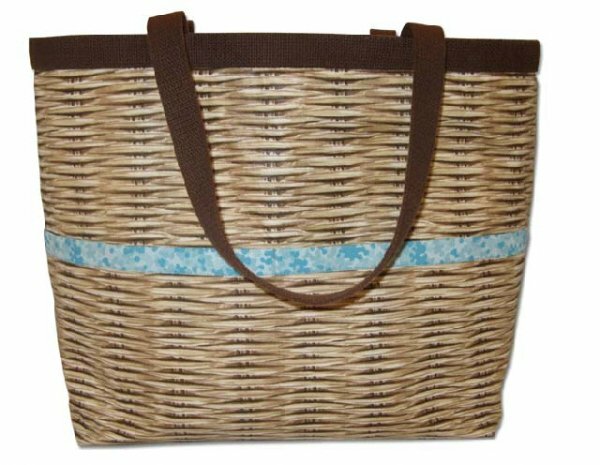 I sell a very nice heavy weight webbing/belting that I use in most of my totes. See Webbing 2 1/4 yards are needed for a Small Tote and 2 1/2 yards for a Large Tote.